In this new trailer we start to see what Padilha was talking about at Comic-Con. We see Samuel L. Jackson play Pat Novak, a news commentator who looks like he drew his inspiration from Bill O’Reilly, try to rally the public to stop being so “robo-phobic’ and support the use of robots. Scenes of the failed robot patrol in the Middle East are shown, Michael Keaton epiphany of putting a consciousness into a robotic being, and the very cool Robocop test run. While most remakes haven’t turned out as well as some studios would have hoped, RoboCop seems to have the potential to break that mold. 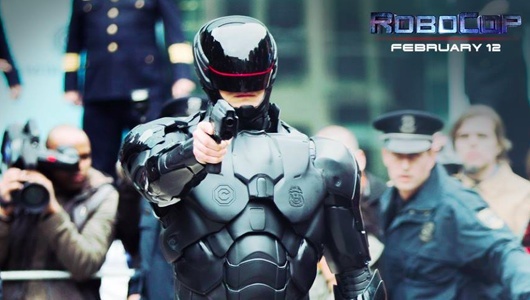 Written by Nick Schenk, Joshua Zetumer, and James Vanderbilt, RoboCop stars Joel Kinnaman, Gary Oldman, Michael Keaton, Abbie Cornish, Jackie Earl Haley, Michael K. Williams, Jennifer Ehle, Jay Baruchel and Samuel L. Jackson. The film opens in theaters on February 12, 2014.